Electric buses apparently are a perfect fit for the mountainous roads of Switzerland. VDL Bus & Coach already put on the roads more than 200 electric buses (mostly in the Netherlands, Luxembourg, Germany, Sweden and Norway) and recently delivered its first in Switzerland. The VDL Citea SLF-120 Electric was ordered by PostBus Switzerland. 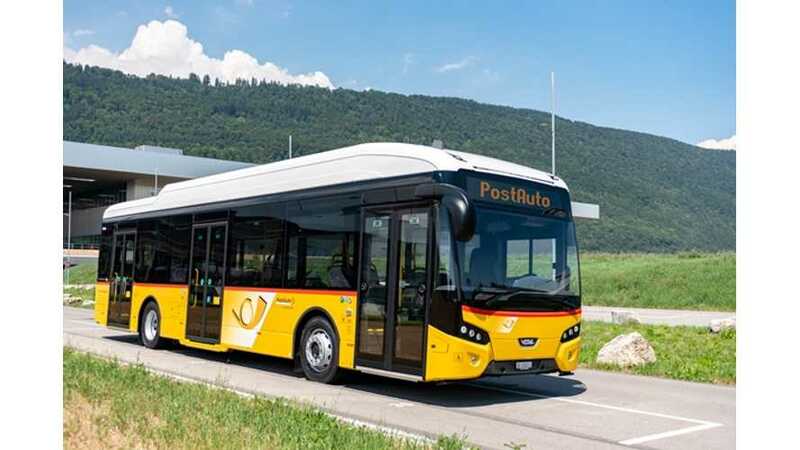 The bus is equipped with a 180 kWh battery and after an overnight charge is able to operate an entire day thanks to 15-minute recharges at 150 kW at the end of line 342 between Sarnen Bahnhof and Alpnach Dorf Bahnhof. The first bus is part of a pilot project to gain experience, but as there are a lot of mountainous roads in Switzerland, we believe that mass electrification is just a matter of time as the EV acceleration and regenerative braking works in favor of the EV. "VDL will not only be bus supplier for this order but system supplier as well. The Citea SLF-120 Electric, equipped with a 180 kWh battery pack, is slow-charged both during the night at the depot in Sarnen and during the day at the Alpnach Dorf Bahnhof train station by means of plugs (150 kW). Alpnach Dorf Bahnhof Station is the last stop on the route, where the bus stops for an average of 15 minutes to be charged. This allows the bus to be in service throughout the day."